Weeks after Pearl Harbor the War Department announced construction of a massive ammunition storage depot ten miles west of Flagstaff along U.S. Highway 66 at Bellemont. Flagstaff’s population jumped from five to 20 thousand in a spasm of boom town upheaval. Several thousand Navajo and Hopi construction workers labored at the struggling new depot – the key storage facility for the Port of Los Angeles. Meanwhile, 400 sailors and Marines of the Navy’s V-12 officer training program arrived on the Arizona State Teachers College Campus. Then, 250 enemy prisoners of war arrived at the depot. This story illustrates the results of military expansion on social, economic, and community development. 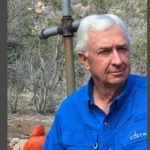 John Westerlund is an independent scholar and American West historian. He was a career Army officer serving four overseas tours. He was a seasonal National Park Service ranger for 11 summers with the Flagstaff Area National Monuments. His book Arizona’s War Town: Flagstaff, Navajo Ordnance Depot, and World War II won several awards for preservation of Southwest culture. He published numerous articles in The Journal of Arizona History along with articles in French and U.S. defense-related journals. 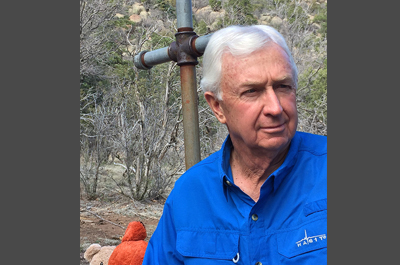 He has been a ‘Road Scholar’ with AZ Humanities for over a decade and is a member of the Flagstaff Corral of Westerners.